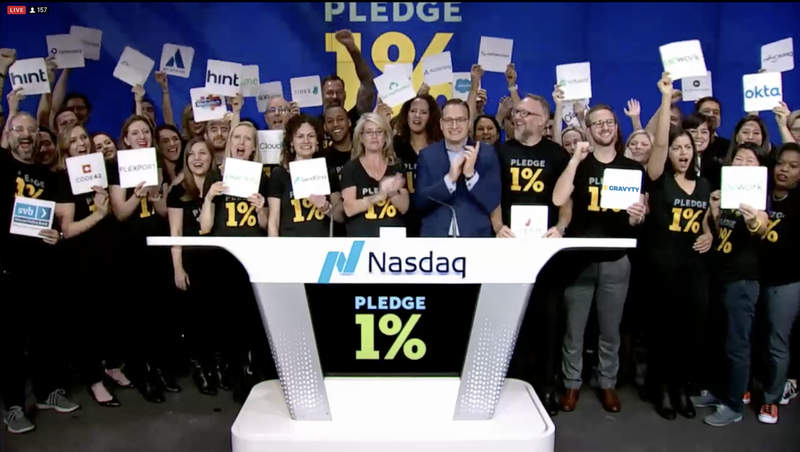 Gravyty CEO, Adam Martel and Director of Customer Success, Lisa Alvezi, rang the Nasdaq 'opening bell' today to raise the call for #GivingTuesday and to celebrate the fourth birthday of Pledge 1%, a global movement to create a culture of giving back. 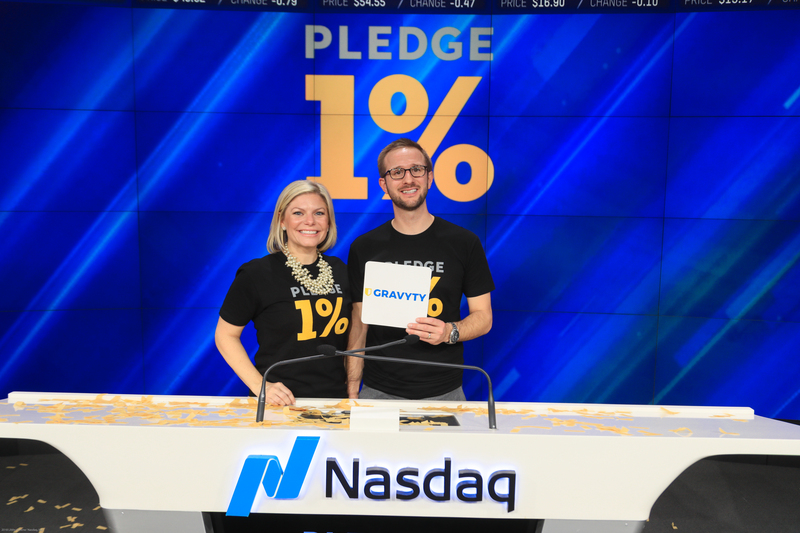 As an organization created to help others develop a culture of giving, and the first AI company devoted to Social Good, it was a no-brainer for Gravyty to become a Pledge 1% partner, and encourage others to do the same this #GivingTuesday. #GivingTuesday is an especially important time of the year when philanthropic efforts get massive attention. Adam and Lisa started their days from Nasdaq’s trading floor in New York to spread the message that giving initiatives should be supported year-round to further the missions of organizations set on improving our world. 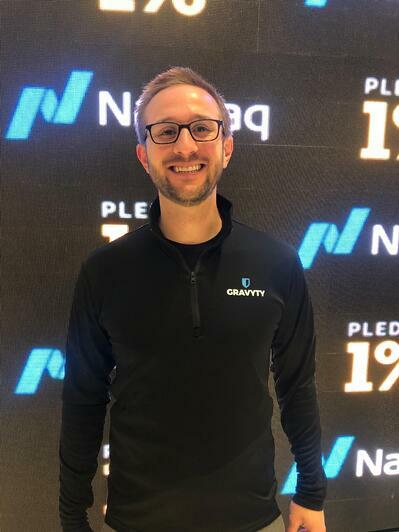 The Gravyty team is proud that its co-founders have baked giving back into our culture and challenge other organizations to do the same, regardless of size. Collectively, we are part of a wave unlocking billions of dollars of new philanthropy and driving meaningful change. Tell us how you’re spending your #GivingTuesday!